A recent study found that increased precipitation due to climate change will lead to markedly increased nutrient runoff. Researchers concluded that the Upper Mississippi Atchafalaya River Basin, the Northeast and the Great Lakes basin are likely to see the largest increases in nutrient runoff because these areas of the country are already creating hypoxic dead zones. Climate change will likely compound these effects. While the study focused on the continental U.S., the researchers did apply their model to parts of the world most similar to it. They found that large areas of East, South and Southeast Asia will likely see nutrient runoff surges similar to those in the U.S. Given that some people in these regions depend on surface water to survive, the impacts of nutrient pollution there may be especially lethal. 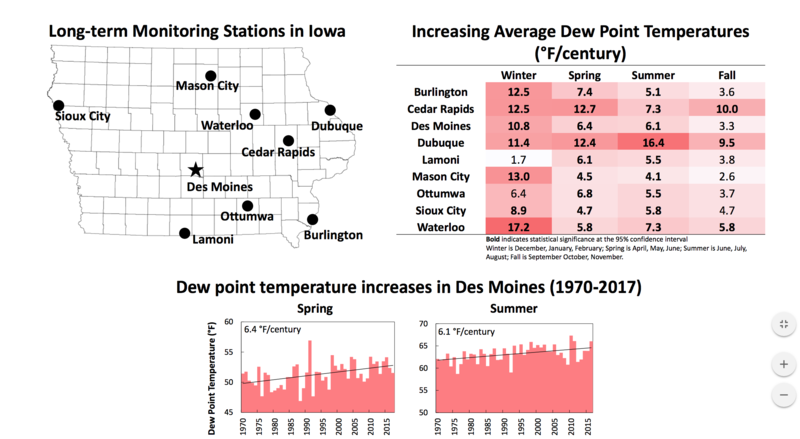 A 2016 report from the Iowa Department of Natural Resources in partnership with the Iowa Department of Agriculture and Land Stewardship summarizes Iowa’s water quality monitoring efforts. The report, which was also supported by Iowa State University and the University of Iowa IIHR—Hydroscience and Engineering Center, provides a complete list of all nutrient-specific water monitoring sites in the state. The first of its kind, it was developed to inform the Iowa Nutrient Reduction Strategy. The Iowa Nutrient Reduction Strategy aims to monitor and reduce nutrients delivered to Iowa waterways and subsequently to the Gulf of Mexico by 45 percent. Researchers partner with farmers to monitor water quality on the edge of farm fields in order to accurately prioritize nutrient reduction practices. These are sites wherein the effectiveness of conservation practices are tested on two similar watersheds, one watershed receives intentional conservation measures and the other does not. These sites are either part of University of Iowa’s IIHR – Hydroscience and Engineering management of 45 real-time management stations or Iowa DNR’s 60 statewide sites. Several small watershed monitoring projects are ongoing including 18 established by the Iowa Water Quality Initiative. Many of these projects measure the effectiveness of conservation practices implemented by farmers. 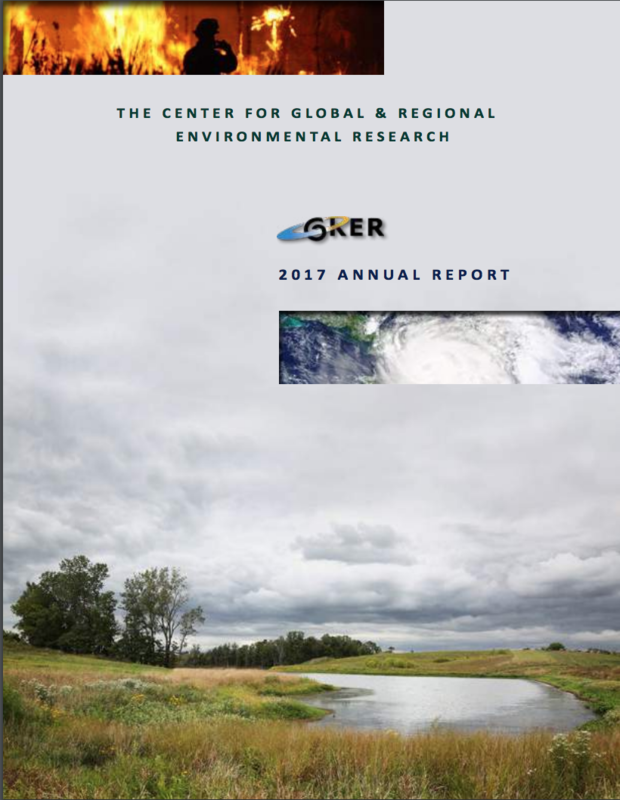 The report also detailed the many challenges associated with nutrient-specific water quality monitoring. Complicating factors can include frequently changing land-use, varying streamflow and precipitation, and a lack of long-term monitoring records. A November report by the Iowa Policy Project evaluates the state’s nutrient reduction progress since its Nutrient Reduction Plan (NRS) was released in 2013. The report states that despite Iowa’s voluntary nutrient reduction plan, recent data from the National Oceanic and Atmospheric Administration (NOAA) and United States Geological Survey (USGS) indicates that the size of the hypoxic “dead zone” in the Gulf of Mexico has shown no improvement. Iowa Policy Project, an Iowa City-based research group, also posits that the latest annual report from NRS overstates progress that has been made in the state. The NRS report notes that some producers have implemented conservation land-use practices such as cover crops and buffer zones, but doesn’t emphasize that others have failed to maintain or eliminated conservation areas. Among other criticisms, IPP points out that while the Iowa acres in cover crop did increase by 125,000 acres from 2014 to 2015, these improvements must be considered in context. There are a total of 400,000 acres currently in cover crop, but this only represents less than 2 percent of Iowa’s 24 million acres of row crop land. According to the Des Moines Register, Des Moines’ nitrate removal facility was responsible for dumping approximately 13,500 pounds of the contaminant into the Raccoon River last year. Nitrates can be detrimental to human health if consumed in high enough quantities, which is why the U.S. Environmental Protection Agency requires drinking water to be monitored for the compound. However, once nitrates are removed from the drinking water, they are often released back into Iowa’s waterways. The Des Moines location is not alone in this practice. The majority of Iowa’s other 15 nitrate removal facilities follow the same routine, and many do not monitor what quantity of nitrate they are releasing. Although this practice is completely legal, it has serious environmental ramifications. The Raccoon River is part of the Mississippi River watershed, which empties into the Gulf of Mexico. Midwest fertilizer runoff from the watershed, high in nitrates, is largely responsible for the Gulf of Mexico’s Dead Zone. Nitrate levels in the Gulf’s water allow algal blooms to thrive, which in turn leads to low oxygen levels that are deadly for many aquatic species. The future is not completely bleak; progress is being made towards preventing the nitrates from reaching water systems in the first place. Farmers and researchers are collaborating to explore and advance environmentally sustainable agricultural practices.